Our residential electricians can handle just about any electrical job in the Belmont area. If you’ve never dealt with electrical problems, consider yourself lucky. 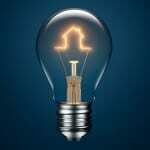 Most property owners will require the assistance of a residential electrician at some point, and choosing the right one isn’t always easy. Since electrical work isn’t something that many people are familiar with, it’s hard to know what to look for in an electrician that you hire to work in your home. 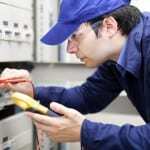 One of the most important factors is whether the electrician is licensed. People can call themselves electricians, but that doesn’t always mean they have the skills to handle complex tasks. With residential work, it’s important to hire someone who is familiar with building codes and other requirements in your area as well. This will help protect you in the event that you end up selling your house or undergo renovations that require inspections. At Lamm Electric, our residential electricians can handle just about any electrical job in the Belmont, North Carolina area. Each of our staff members has at least two decades of experience in the electrical industry, so you can feel confident that we will do the job right. We also guarantee all of our work, so if you aren’t satisfied, give us a call, and we’ll make it right. Customer service is a major area of focus for every electrician and office staff member. As a family-owned and operated company, we offer expert electrical services with a strong focus on satisfaction. Don’t hire the wrong residential electrician – instead, rely on us at Lamm Electric.